I woke up this morning to a couple great things: it was raining, which makes me just want to cuddle on the couch with some hot cocoa all day. 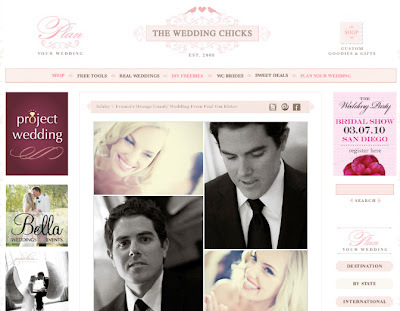 AND Paul VonRieter submitted a wedding that we worked on together to the Wedding Chicks and it is being featured on their blog. So sweet. Head over there, check it out and let me know what you think. Thanks Paul for your amazing work! I wouldn’t have this amazing eye candy if it weren’t for you.